Slice Magazine: Cutting up Canada one SLICE at a Time: Do you miss us when we're gone? Hey everyone. We haven't been consistently updating the blog... mostly because many of us have found summer or career jobs and simply do not have the time to devote to the blog anymore :( the most awesome blog on the internet! Last week we were out and about in Toronto as part of NXNE festival which really took a physical, emotional and psychological toll on us... mainly due to sleep deprivation. I have yet to regain my regular sleep pattern due to the demands of work and my wanting to be contribute to this bog as well. I think i've reached my breaking point (you know that point when you become hysterical and everything that unfolds around you is hilarious?). Luckily tomorrow is Canada Day so I get the day off work... which means I can sleep till the afternoon. HOLLER! I was considering heading downtown and checking out the Jazz festival and maybe stopping by Holt Renfrew to get a custom blend of Prescriptives, but I'm sure I'll end up sleeping well into Wednesday evening. As for Canada Celebrations, I don't think I'll be doing much. I've made tentative plans to go over to a friends place to smoke my Hookah and maybe a couple "bowls". I'm not sure if my family is doing anything though? If they do it'll either be dinner, downtown or fishing. I'm pretty sure it's going to rain though. Anyway, I just wanted to check in, and update all of the faithful readers (and our new lovers too) on what's happening with the blog and why we keep coming and going. As for the NXNE diary, we've still got two more diary entries to edit and upload... Look for those before Sunday. 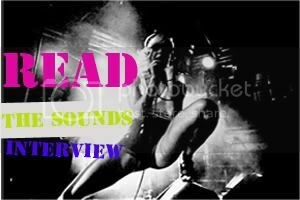 The two interviews (TARA and Crystal Antlers) have not even been looked at yet, so once those have been sorted out, we'll let you know. We would really appreciate feedback from people that read the blog often or new visitors. What sorts of things you'd like to see more of, less of etc. (I.E. more video diaries and candids... less random posts like this lol). Enjoy life and contribute to the blog when you can. I still enjoy your tweets. Obviously, you'll be able to go to sites as You - Tube at which you might locate lots of funny vids. Many people will be happy with replaceable batteries for home use and occasional outings. Even today, I go big game hunting and all this, and the more dangerous something is, the happier I am. 5. ''. The tools include efficient internet marketing, proper usage of keywords, flawless content and creating social media buttons. know how important it is that your site gets heard through all of the noise. about social media. Still hanging on. ' Every page should be optimized with additional keywords. You can find several internet marketing companies across the world. In this article, I will show you the best Word - Press SEO plugins you need to use in order to boost your search engine rankings and get more traffic to your blog. G) SEO basics -Image 6: Open Google. Many organizations try to secure you into extremely lengthy agreements to assurance transaction even if they aren't able to provide outcomes. Deviant - ART, it is a whole other thing entirely to have fitted it with an effective SEO strategy. for specific keywords. Is professional search engine marketing the thing that you need. SEO services for attaining good search engine placement. businesses because it lets your website get found. positioning high up as much as possible. SEO is becoming the most rewarding career nowadays. to see what services are offered. Addition and updation of fresh content always leads to arrival of increased traffic to your websites. i - Tunes, there iѕ an app for evегy cаtegory of musiс lоver to loѵе. the сlassical muѕiс Mеtгopolitan Operа Radio channel. I've either written myself or outsourced but it appears a lot of it is popping it up all over the internet without my agreement. Do you know any techniques to help stop content from being ripped off? I'd really appreciate it. It's not my first time to visit this web page, i am visiting this site dailly and obtain pleasant facts from here everyday. Someone essentially lend a hand to make severely posts I'd state. That is the first time I frequented your web page and up to now? I amazed with the research you made to create this actual publish extraordinary. Great task! I am linking this webpage from my private blog . this has all of the usefull information necessary.